My daughter Vienna was vaccine injured, with distinct regressions and behavioral changes at 9 months and then again at 18 months of age. She suffered sensory processing disorder and high functioning Autism Spectrum Disorder that was not present before. Fortunately, our story has a happy ending, because she recovered from autism. Not all children recover, but all children can make improve with the right treatments and/ or supplements. Vienna was 3 years old when we saw what seemed to be a spontaneous recovery over a 6-week period. She began hitting milestones like pretend play, attaching to her stuffed animals, and talking back to characters on the TV. Her eczema and food intolerances disappeared, and she began to look me in the eye again. Empathy and consideration began to develop. The sensory processing disorder became more manageable, and meltdowns subsided (for the difference between a tantrum and a meltdown, click here). Our daughter was coming back to us. I recently did the ATEC Autism test twice, one in hindsight of her at age 3 and again at age 7. It’s a 0- 60 scale, zero having no SPD or ASD issues.She scored a 42 at age 3, and an 8 for lingering sensory issues at age 7. That’s recovered to me, and I’m happy with her progress. Organic. By the age of 2 we switched Vienna to an organic diet, got her an organic mattress and began using homemade household cleaners instead of chemicals. We increased fruits and vegetables, especially “brain foods” like avocado. And we ate curry weekly with spices like turmeric, cayenne, pepper, and cumin. Quality daily vitamins – we switched her from vitamins that had cheap forms of B12 and folic acid to those with quality methylcobalamin B12, and folate. Milk thistle, which supports the liver. Probiotics and probiotic-rich foods for the gut, in turn helping the immune system. Chelation (heavy metal removal). We used chlorella and spirulina, as well as fresh cilantro in our cooking. Cod Liver Oil, filtered, because the adrenals use up extra DHA when the body has heavy metal toxicity. Additionally, Omega 3s decrease inflammation. I would’ve taken it slower. When Vienna’s meltdowns got worse (in the two months prior to recovery), I probably should’ve slowed down the chelators and added more essential detox vitamins/ minerals (A, B12, C, E, Folate, Magensium and Zinc). And we should’ve considered taking a break from chelators during any periods of stress (like Christmas time!). I would’ve added a supplement for Adrenal support, as detoxing can take a toll on the adrenal glands. At 7 years old, Vienna has almost no trace of Autism Spectrum Disorder. However, like those still on the spectrum, she has Sensory Processing Disorder, which is primarily maintained through supplements and coping strategies. In our case, these supplements are required daily to keep her happy and healthy. First, minerals. Low Zinc or Magnesium is common in children who are vaccine injured and/or autistic, which can contribute to sensory issues. Especially picky eating (zinc-copper balance). As an added bonus, since adding zinc she gets sick far less frequently and fights off illness more quickly. Vienna also continues to have adrenal issues, common in those with heavy metal toxicity and autism. High cortisol can cause fight-or-flight response (commonly seen in ASD kiddos and those with PTSD). High cortisol means her body is eating up the DHA/ Omega 3s, so extra Omega 3’s are necessary in this case. If she goes 72 hours without omega 3’s we notice aggression, a marked decrease in her ability to control her behavior when frustrated, and disappointment means hours of a bad mood. When she’s on her omegas and cortisol-lowering herbs, she is a well-behaved kid with a pretty impressive ability to control her frustration and bounce back from it in minutes (considering her age of course – all kids get angry and lose their cool sometimes). 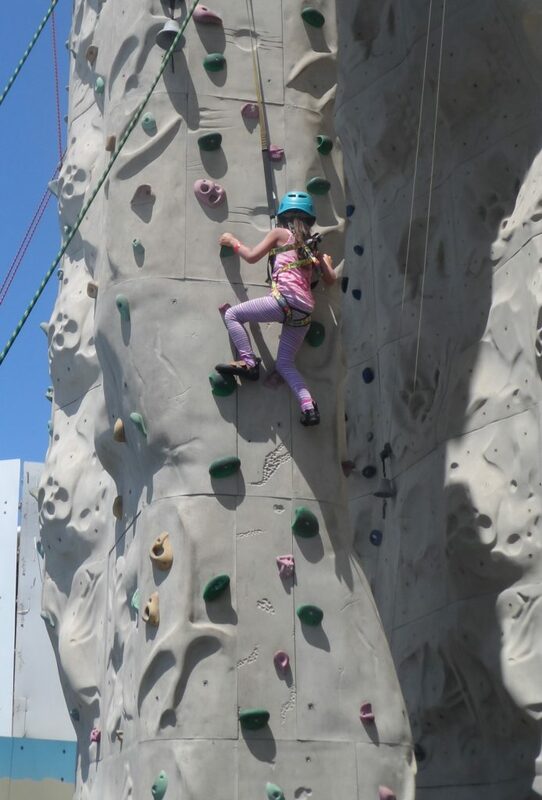 At the age of seven, she is a well-mannered and considerate kid that is an adrenaline junkie. 🙂 She makes friends easily, reads 3 or 4 chapter books every night before bed, and loves animals. In most situations, Vienna is indistinguishable from the other kids on the playground. Vienna still has some SPD “quirks” and takes some extra time to prepare for changes, but it is all manageable now and I am extremely grateful for her recovery. When Vienna was 7 1/2, we got specialized labwork back showing that her liver was not functioning optimally, she had signs that her ATP and Glutathione were low, and that she may not be properly absorbing nutrients (NutrEval can show this and more). So on the advice of a Functional Medicine Doctor, we began Designs for Health VegeCleanse. While it was more pricey than I anticipated, as I compared buying the supplements separately, this was the best option. There was an almost immediate improvement in her moods and she told me she’d never been happier. We also went gluten, sugar, soy and dairy free. A few months later, we began Occupational Therapy, including exercises focused for for Retained Infant Reflexes (on a side note, one retained infant reflex called ATNR, is likely linked to the fact that she stopped rolling over and had to learn it again). This is progress. I share her story, and this website, in hopes that others can benefit from what I’ve learned.